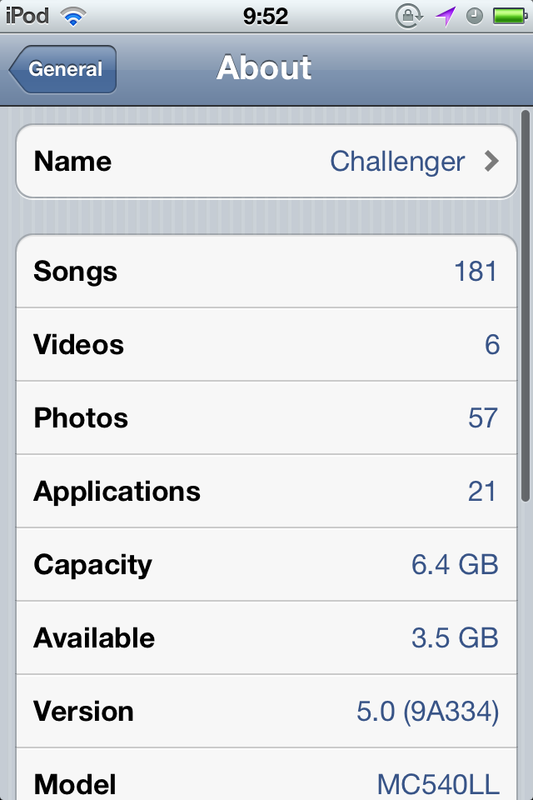 iOS 5 is here! Geofencing, new Voices in Voice Command/Siri, and Notification Center for all! We all know how heartfelt iOS makes you seem (Cards), how much control it gives you for managing your network (Airport Utility), and how it will easily turn you into a stalker (Find Your Friends), but what about all the day-in and day-out things that truely make the upgrade process worth it? Please post only one tip per answer, and check to see if your answer has already been posted - duplicate answers will be deleted. To search answers for this question use inquestion:27761 (or inquestion:this, while viewing this question specifically) in addition to your search terms in the search box in the upper right hand corner of this page. 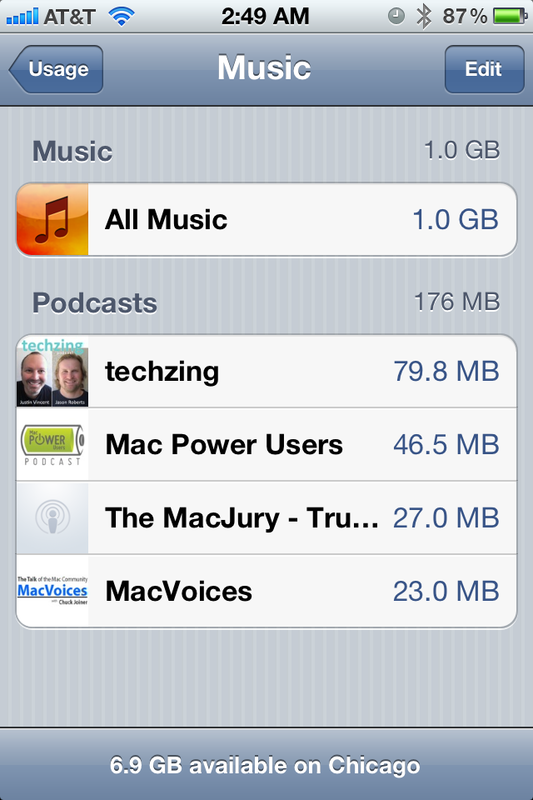 iOS 5 now collects the space used by apps and the data in the app - sorted by the largest size. If you need to free up some space quickly, this is a great way to easily identify and remove the largest burdens on your storage space. 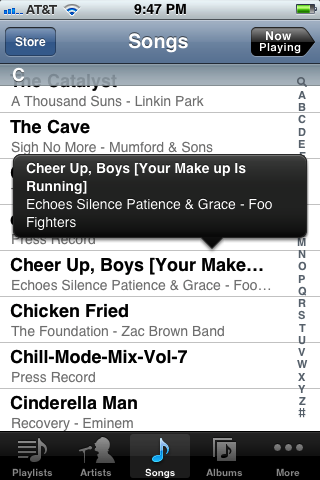 Of specific tiny note, the edit button in the top right allows you to delete selective content from apps like Music. 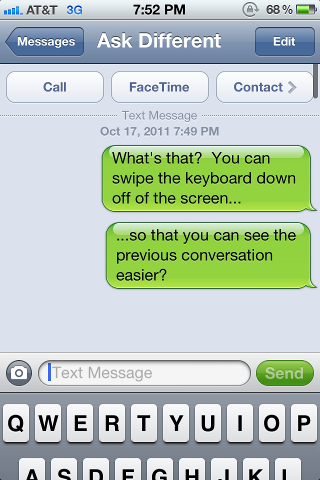 The neat way that you can scroll down on iMessages and it pulls the keyboard down with your finger. In Safari on the iPad, tap and hold the [+] button to display a list of recently closed tabs instead of creating a new empty tab. I wanted this for a long time. 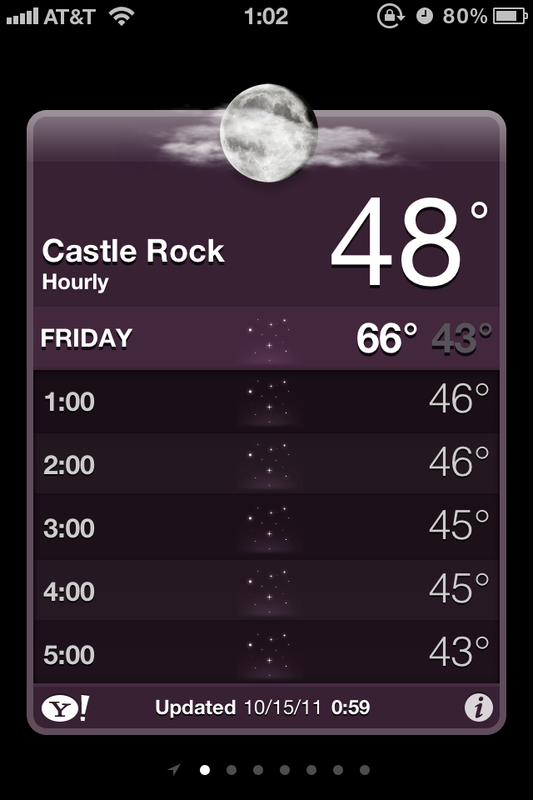 When viewing Weather.app, simply tapping on the screen/6 day forecast will slide the days downward, and reveal a 12 hour, hour-by-hour forecast! Note also that "Hourly" illuminates underneath the city name when in this mode. When Camera.app is open, and you want to quickly view your previously taken photos instead, don't hit the photo button in the bottom left, simply swipe the screen from left-to-right and you will go in descending date-taken order through your Camera Roll. Note that you cannot do this if your phone is locked and you used the 'quick camera' method, except for photos taken in that session. This screenshot was taken mid-swipe (which is rather difficult to do). 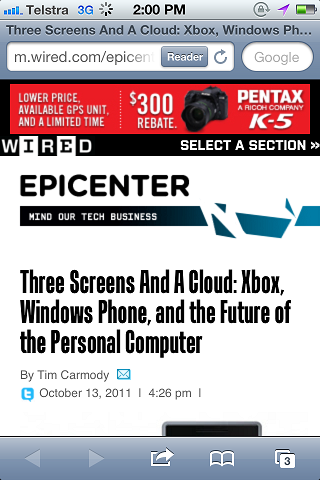 Note the Camera.app interface on the right half, and a familiar partial screenshot on the left. You can tap and hold on a song/podcast title to get a pop-up of the entire description. Custom vibration patterns! 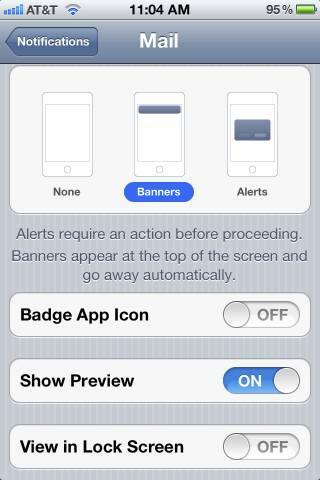 (Turn them on in Accessibility; tap them out in Sounds; set them by contact in Contacts). 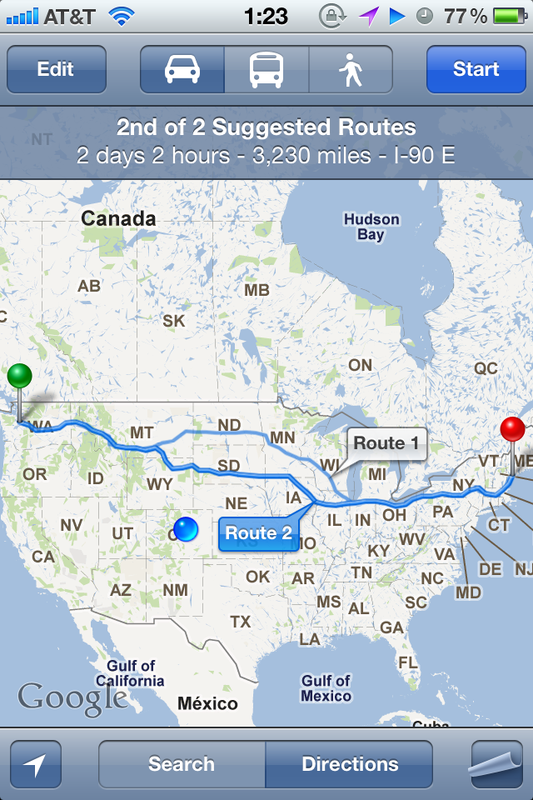 When getting directions that encompass a long distance that may have multiple highway routes, you will be able to choose 'Route 1' or 'Route 2' after searching the addresses, and before hitting start. Tapping on the 'Route 1'/'Route 2' tooltips will change the color for that route (light blue/dark blue) and also update the estimated distance and time in the header bar. I love that you can use the volume up button to take a photo. This is great in landscape mode. Also if you are using Apple's headphone or any headphone that compatible with iOS, using the volume + button from the headphone also can take a photo for you, this is great for remote shutter ! Just pull the keyboard apart with your thumbs. 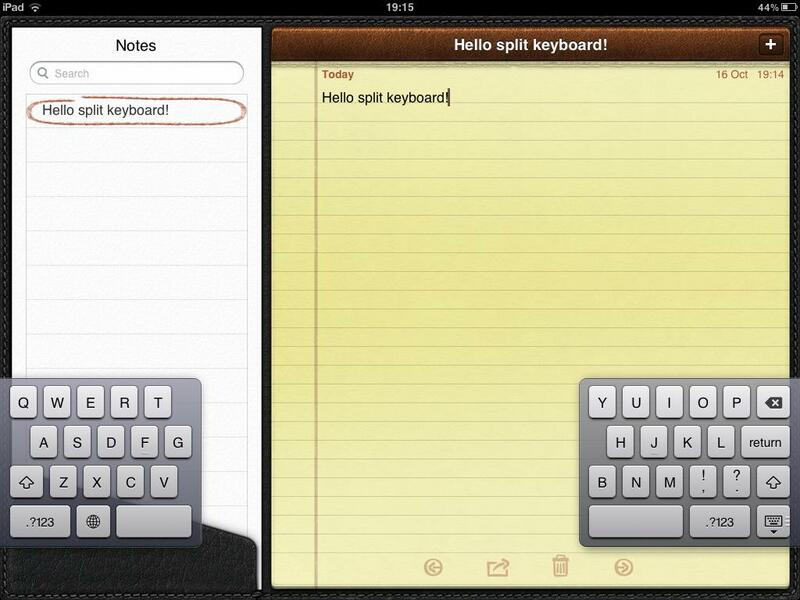 The Hide Keyboard button (bottom right) can now be used to reposition the split keyboard on the screen. 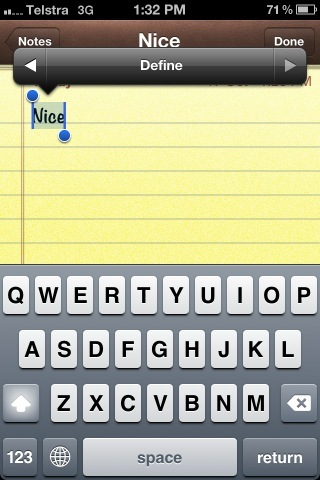 It takes some getting used to but it can be handy for typing whilst holding the iPad in your hands. 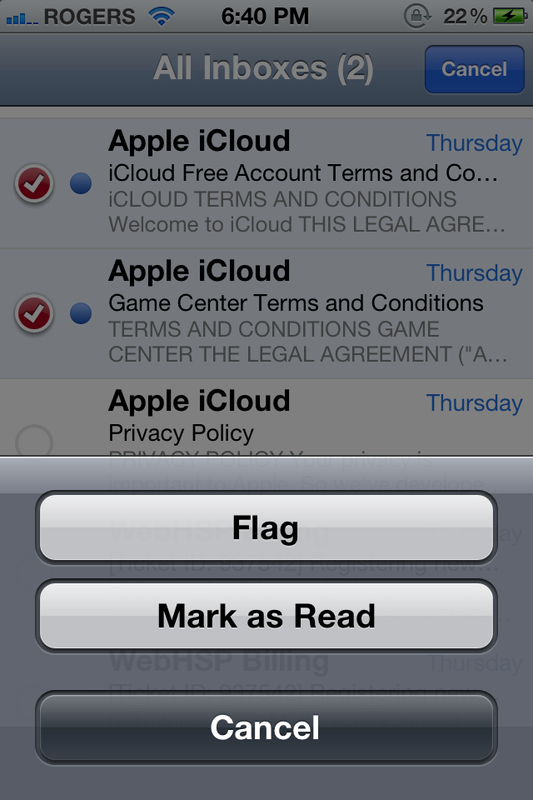 You can drag and drop recipients between To, Cc and Bcc in Mail app. 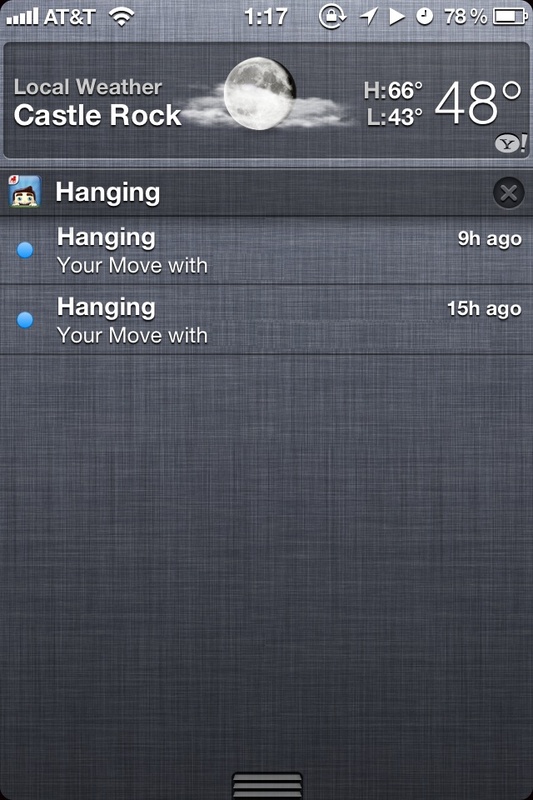 My favorite mini-feature yet: you can swipe any notification on the lock screen. This will remove the lock and proceed to the relevant app. 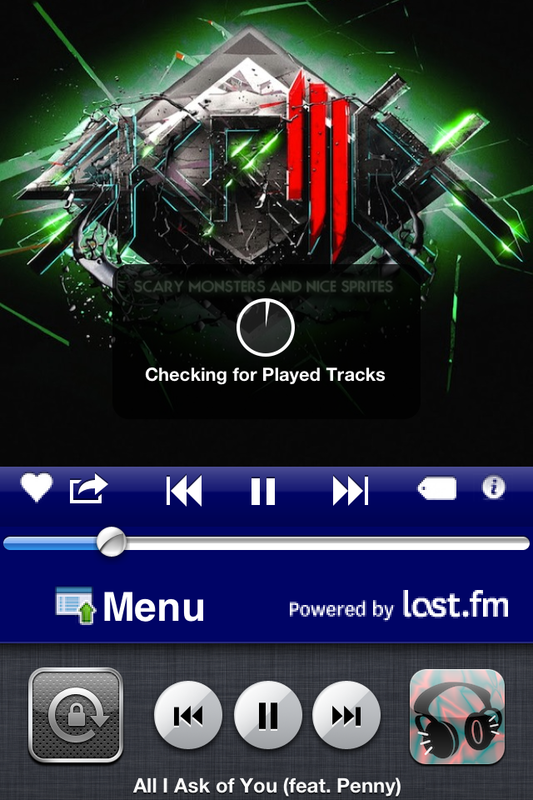 In previous versions of iOS, the lock screen and multitasking bar would simply show the app name that's playing music. But now, if supported in the app/implemented by the developer, full Artist, Album, and Title information can be shown instead. Note the non-Music.app icon in the multitasking bar. 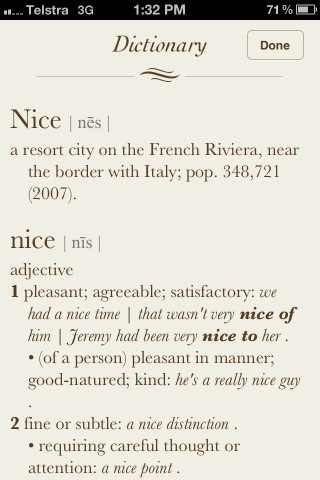 Word definitions from text selections. Switching the phone from Silent mode back to normal now displays the current ringer volume. 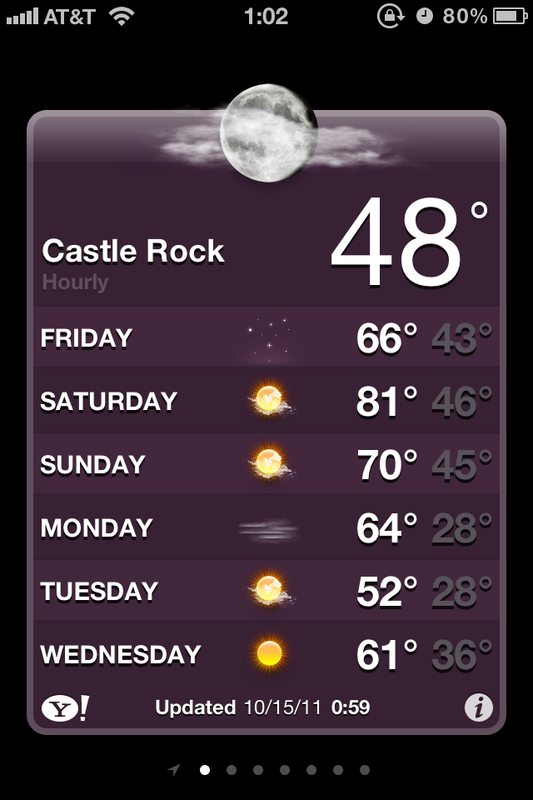 When in the Notification Center drawer, you can swipe the Current Weather widget in either direction to switch between Current Local Conditions, to the same 6 day forecast you would see in Weather.app. 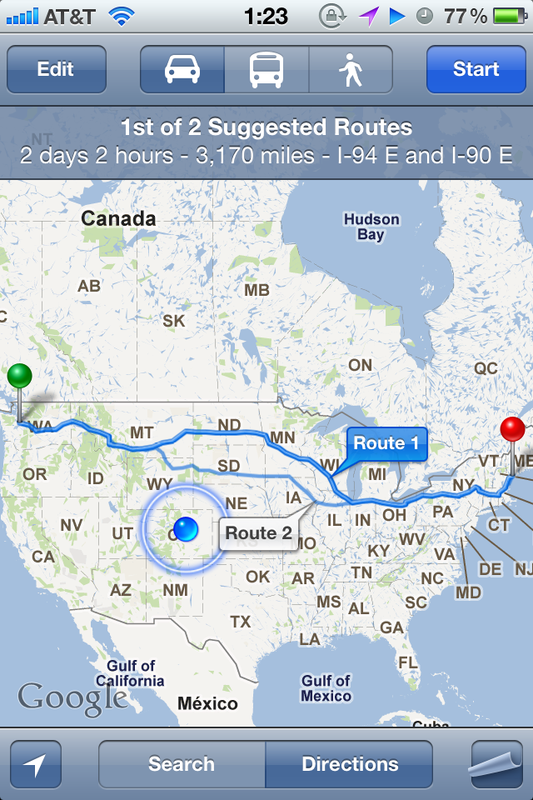 Saves a ton of time! The Reader button in Mobile Safari address bar. 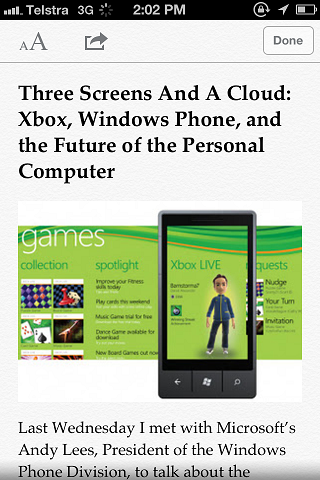 It displays a page not entirely suited for mobile in an easy to read, black-and-white format. It removes all of the extraneous information and focuses on the body text. EDIT: Something new I noticed recently, if the article has a link such as "Continued on page 2...", the Reader will automatically load the additional pages, allowing you to scroll through the entire article without leaving the Reader. 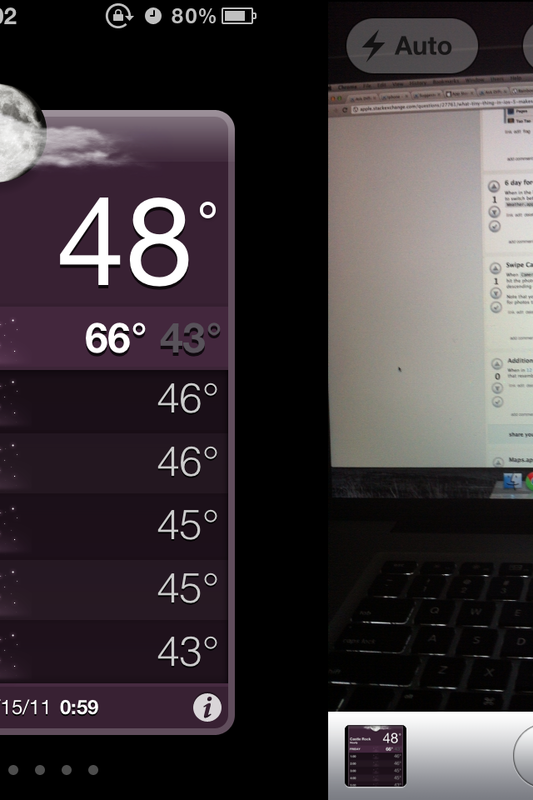 Calendar.app when the iPhone is rotated in landscape mode displays a week mode. Horizontal scroll iterates through days. Vertical scroll iterates through hours. 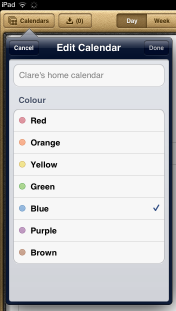 Finally, I can make the colours of each Exchange calendar consistent, without needing to buy a Mac, to use iCal! 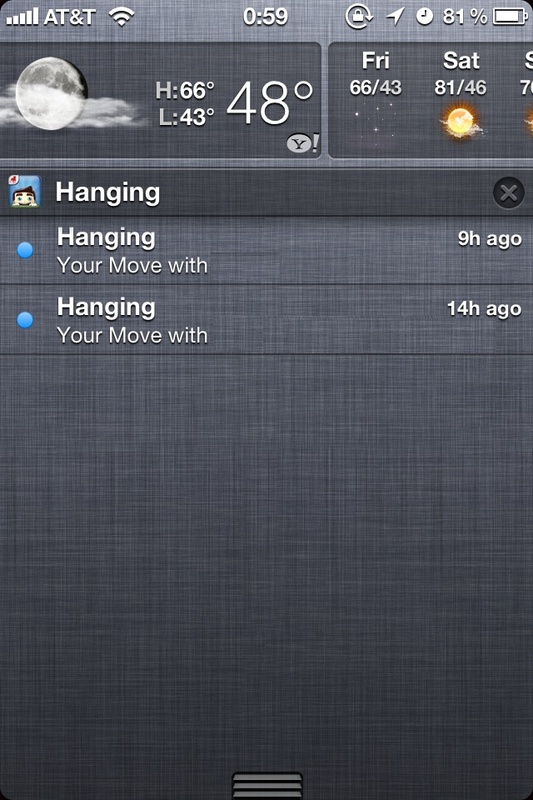 A nice extra touch is that if you use a 3rd-party calendar app, such as Informant HD, the same colours are used there too. Emoji is now a keyboard that can be used by anybody, where prior to iOS 5 it would only be enabled by the use of a Softbank (Japanese Cell Phone Carrier) SIM card in your device, or via special tricks that certain applications would perform. Enable it by going into Settings -> General -> Keyboard -> International Keyboards -> Add New Keyboard, then scroll about 1/3rd of the way down and tap 'Emoji'. Emoji are cute little detailed picture icons. These icons can only generally be seen on Apple computers, iPhone users, or most Japanese Cell Phones (albeit they will look quite a bit different on those). 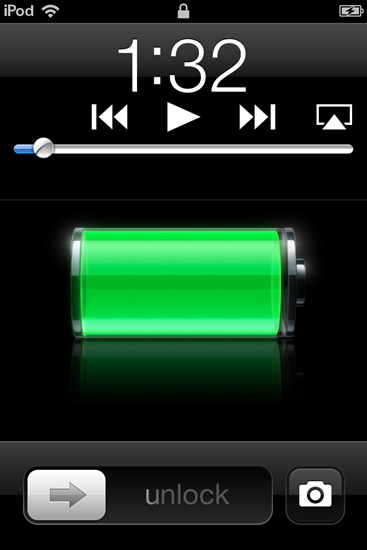 Double tapping the home button on the lock screen shows you both media controls, and a camera icon to the right of the unlock swiping track. Not only is the Camera available from the lock screen, but as soon as you push the home button, it whisks you right back to the lock screen. So nobody can get into your iPhone without unlocking it. I just noticed that when you're in Safari, and you click in the Search box at the top-right, the keyboard has a new "Find on Page" box, that is much more convenient than the old iOS 4 way of searching. The Pad Gadget page iPad Quick Tip – Find Text and Keywords in Mobile Safari shows a screenshot from the iOS 4 days. Notice how the "On this page" bit appears after it's searched the Web. 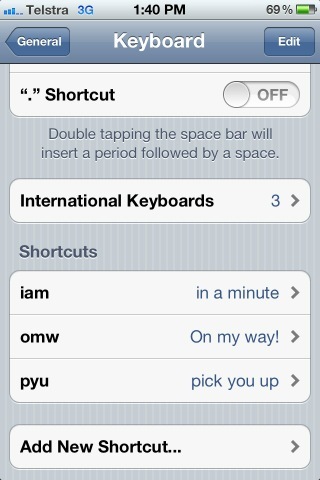 My point is that the iOS 5 way is more obvious, and more convenient. You can now mark multiple emails as Read/Unread from the edit mode in Mail without having to open each message. 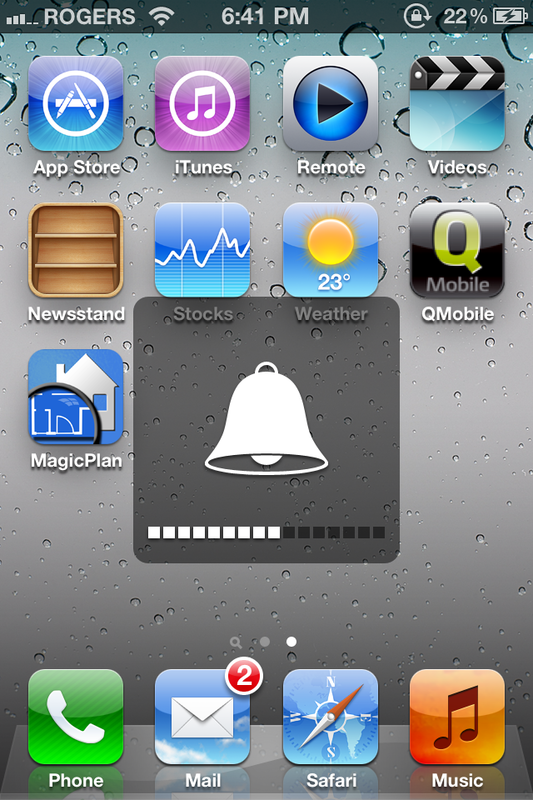 Ringtones that are less than 15 seconds will also show up in the the various other notification types. 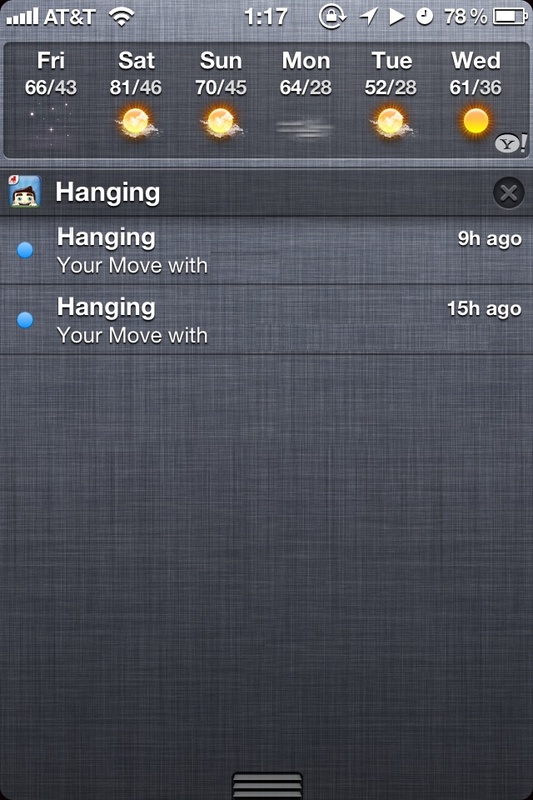 New (SMS) Message, Calendar Alerts, Tweet Sent, etc. 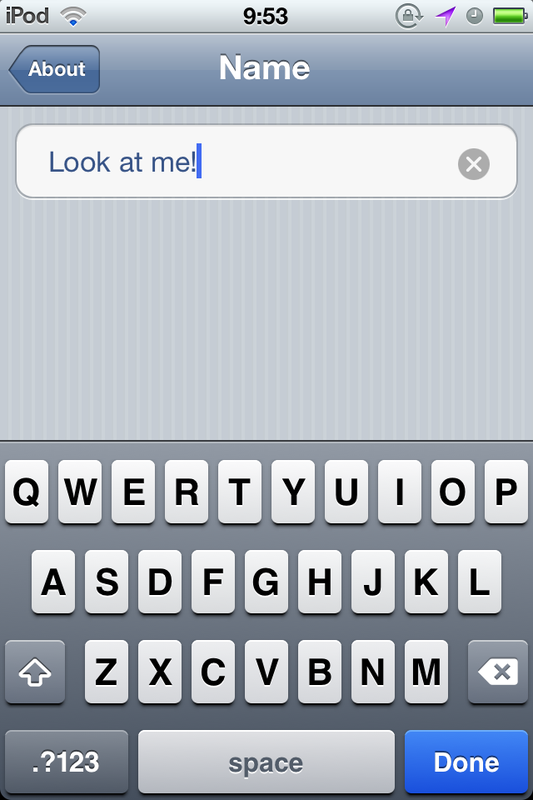 They can even be defined as the SMS tone for a specific contact in your Address Book. I can change my iPod's name without using a computer. Silly I know, but I can. I'm finding number 3 less useful so far but 1 and 2 are becoming second nature. If you prefer icons to be clean and without status - specifically in apps like Mail, notifications allows fine grained control over displaying a badge or not. Many have complained about the split keyboard not matching their natural finger choice for the middle letters (TY / GH / VB), but as it turns out, those keys all exist on the both sides of the keyboard. Want to hit Y with your left finger? Do it, it's there, and it's really wide too, easily 3 buttons wide. Want to hit V with your right finger? Do it, same rules apply. It's really amazingly well done. 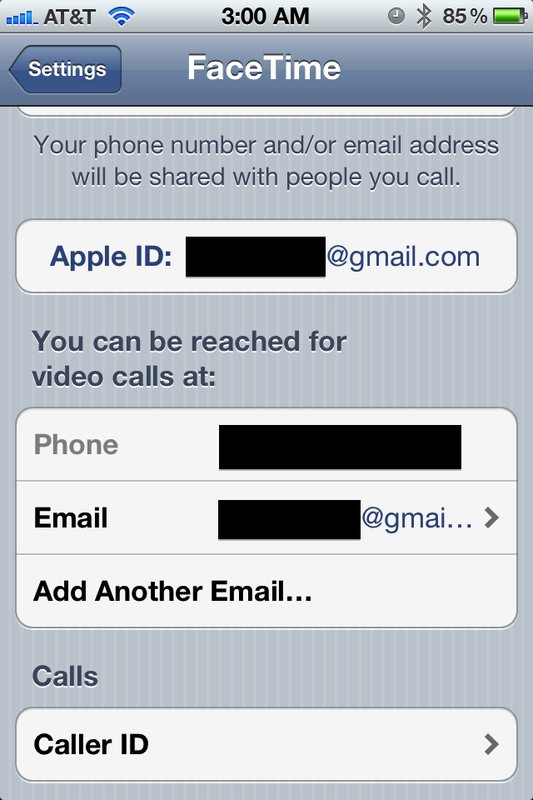 This is nothing new to iPod touch or iPad users, but up until iOS 5 iPhone users could only send or receive FaceTime calls with their phone number. Now you can add one or more email addresses to the FaceTime section in Settings to enable people to FaceTime you at those addresses. You can also configure the Caller ID to be either the phone number or any of the email addresses - useful to prevent people you FaceTime with from getting your phone number. 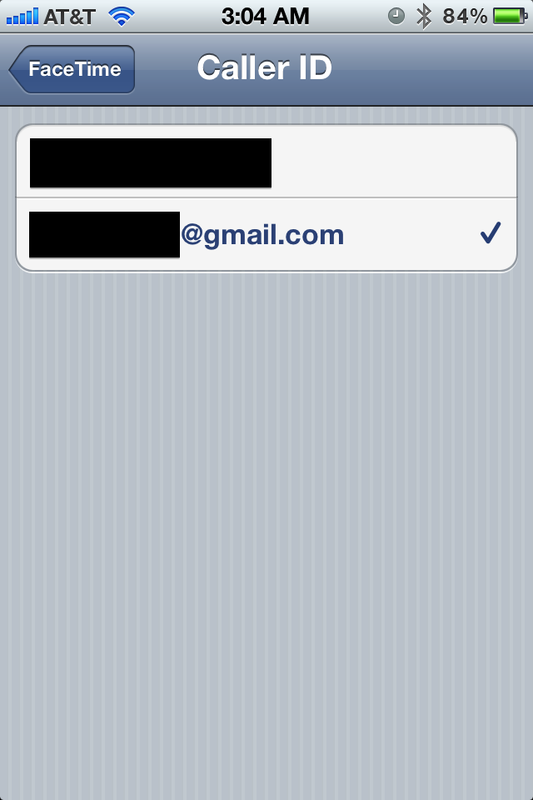 You also have the same flexibility with iMessage as well, the ability to send and receive messages from either your phone number of any number of email addresses. Not the answer you're looking for? Browse other questions tagged ios hidden-features . What are some iOS5-only and/or iPhone 4S-only Hidden Tips/Tricks? Can I put Newsstand into a folder? 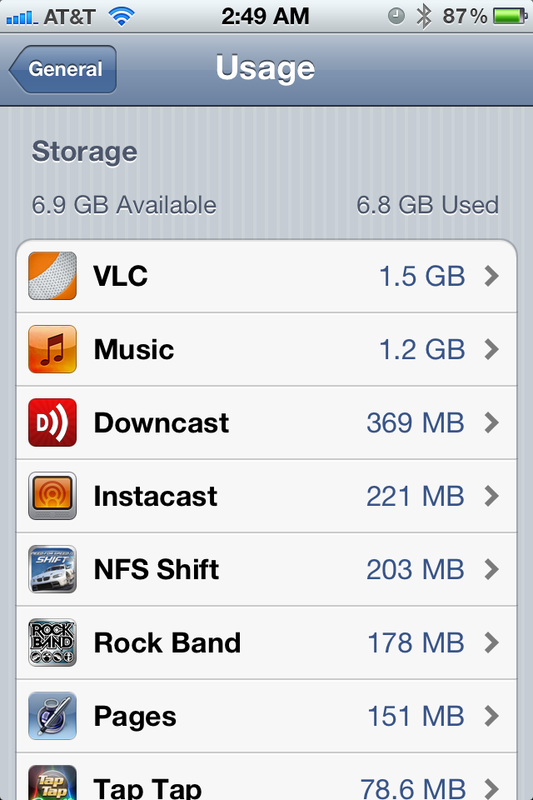 How can I get rid of Newsstand? 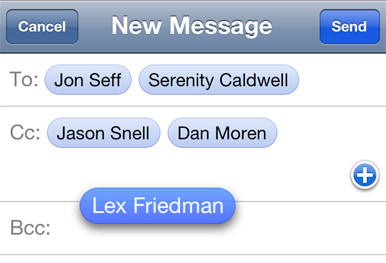 Is there a way to “force” an iMessage to “come from” an e-mail address? Does the iPhone 4 still vibrate in your ear if you receive a text message during a call? 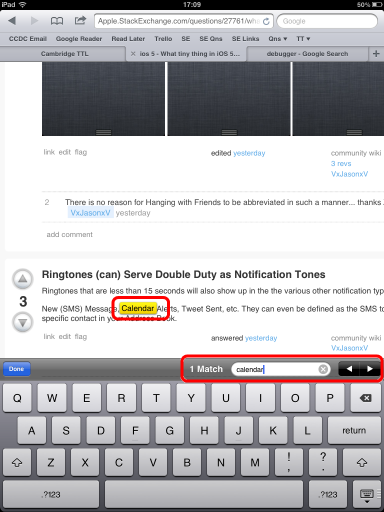 Can Spotlight search for text within Safari for iPhone? What are some great OS X Dropbox uses? how to disable birthday reminders in iOS and still view them in the calendar app? What features in iOS 7 make a difference? What features in iOS 8 make a difference? What features in iOS 9 make a difference? Why is a new website/domain restricted on iOS Safari?